the leaves are referred to as cilantro. punch it adds to stews, salads, and salsas. 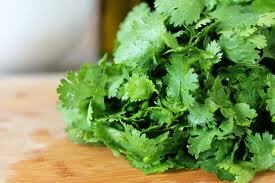 What Are The Nutritional Benefits Of Cilantro? vitamin C and 5 percent of your daily value of vitamin A.
amount of sodium you add to recipes. reasons why cilantro needs to be sprinkled in your diet. a little extra help from some other restorative herbs. beneficial add-on treatment for irritable bowel syndrome. 3. Purify Water With Cilantro? foods and also has an antibacterial effect against Salmonella. prevent food-borne illnesses, when added to foods. the Fujisaki Institute, Okayama, Japan. 7. Use Cilantro as an Anti-Cancer Treatment?